There's a reason this is Merrithew's best-selling mat the world over! 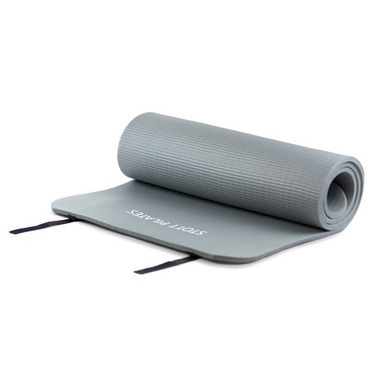 Super-cushy, lightweight and made of closed-cell foam construction, it will protect your spine from hard surfaces, while keeping you comfortable as you exercise. The Pilates Express Mat is ribbed on one side and smooth on the other to accommodate many different exercises and traction. As with all Merrithew Express Mats, the integrated hook and loop fastener straps allow you to simply roll up the mat and go! Includes downloadable BONUS Exercise Guide. I much like my new mat - although it is a pilates mate, I like it for yoga. It is thicker than most yoga mats and that is why I chose this mat. I also like that there velcros for rolling it up and putting it away. It is also easy to clean.